Satellite Reign was launched on Kickstarter in late 2013, and it easily met its funding goal of $530,000 by raising over $700,000. But it never quite made it to some of the stretch goals, the biggest of which was a million dollar goal for online co-op. The game released back in August of 2015 on Steam after an early access period and so far garnered over a 1000 positive reviews, meeting expectations of both the players and developer 5 Lives. 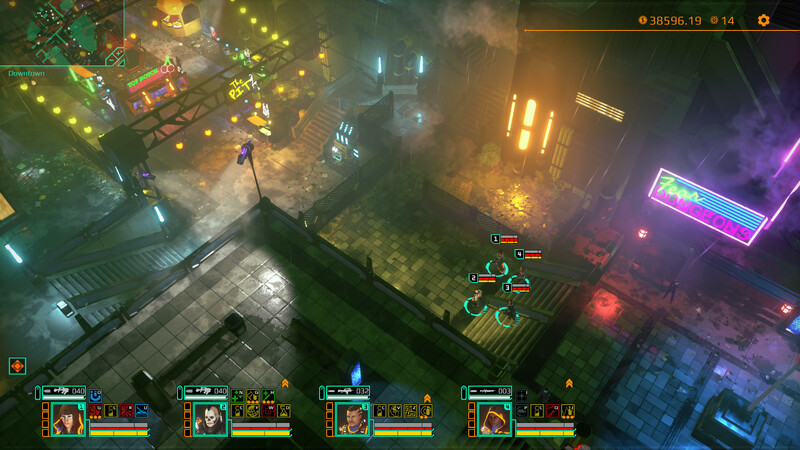 Satellite Reign is a real-time, class-based strategy game, set in an open-world cyberpunk city where players control a team of four agents that can be customized, shaped, and tailored to the mission and player. It's a game heavily inspired by the classic Bullfrog (Peter Molyneux) game Syndicate, where players have a lot of choice and freedom to solve the objectives. And on most levels, it succeeds and extends the formula creating an open world for players to explore. Since release the game has since a steady stream of updates including new difficulty modes like Iron Man and Ultra Damage, and new abilities like Slow Time. Now six months later the team has confirmed they are working on one of those stretch goals, online co-op. We chatted with Chris Conte, Co-Founder of 5 Lives, and who's previous accolades include work at SEGA and Krome studios. 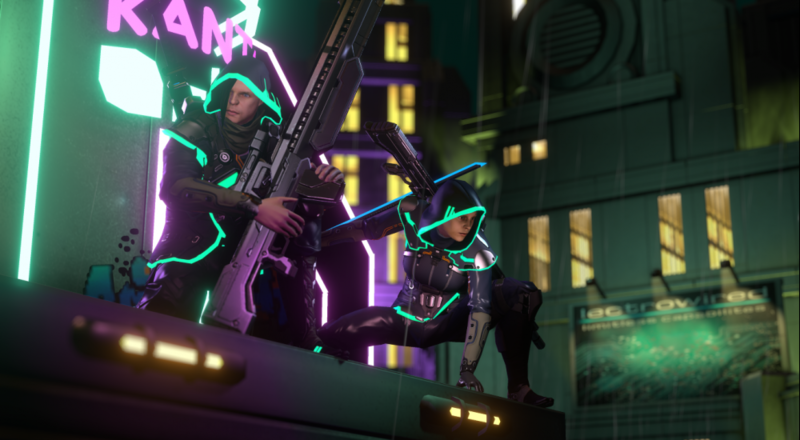 Co-Optimus: What led to the decision to add co-op to Satellite Reign? Chris: Co-op was an easy choice. We actually had this planned from the very beginning. One of our Kickstarter stretch goals, that we unfortunately didn't reach, was to include co-op. We have had a lot of people ask us along the way if we would include co-op but we had to be realistic about the costs of including it in the initial release. Co-Optimus: Will it be a whole new campaign? Separate missions? Or will the main campaign be modified to support co-op? Chris: The entire game was built with the plan to add co-op at the end. Because of this we made sure that nearly every aspect of the game would be able to be played with multiple players. The only restriction (which we have in the original release) is that each agent must be in the same district. Aside from that, you can do what you want. We were testing the other day where we broke up into pairs to try and run through a few compounds. It does make things much more difficult but it is completely up to the players how they want to play. Co-Optimus: Are there going to be any new agent types or abilities for co-op play? Chris: Some of the abilities and skills have been tweaked to allow for co-op to work but we have tried to keep any of those to a minimum. One of the things we are still playing with is the "Team Stims" ability (the one that gives the player the ability to slow time temporarily). This is one of things we would the communities help with, we will be having an opt in open Beta for multiplayer very soon for anyone that already owns the game! Co-Optimus: How does save progression work for multiple players? Chris: The host is the one in control of save. You can obviously start a new multiplayer game but you can also just load your current single player game as a multiplayer game and continue from there. It works the other way too. If you have a multiplayer game you want to continue on your own you can just load it as a single player game and keep on playing. Co-Optimus: What's the best and worst thing about cyberpunk? 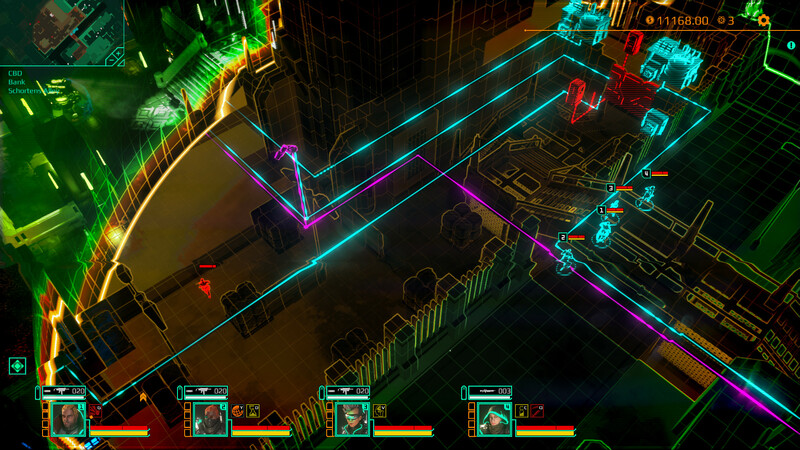 Chris: Cyberpunk as a visual is really fun to work with. The dark neon soaked streets are a visual treat no matter what district you are walking around in. As a theme it gets even more interesting; augmentations and neural hacking, drones and mega corporations all add to a dark gritty world that really makes you want to explore. On the down side, it doesn't look like the real world is that far off the dystopian future Cyberpunk games usually depict. Co-Optimus: What is something you would like to share about Satellite Reign people may not know? Chris: The game was made by a very small team (no more than 8 people at max), in a very short period of time (less than 2 years). We're really excited to see what co-op brings to the table in a game like this. I personally have fond memories of playing Syndicate in "pass the controller" style co-op, talking strategies with my buddy as we sent our agents on missions. Adding proper real time co-op should make for some interesting gameplay scenarios not currently possible with just one player in control. We'll definitely be keeping an eye out for when the update to the game is released later this year. There will be an opt in beta that will start some time in the next few weeks for the co-op mode with a planned final release in the coming months. Satellite Reign is currently available via Steam for $29.99 for the standard edition, or $39.99 for the deluxe with soundtrack, art book, and other goodies.